In Model Cars > Pedal Cars > Show & Tell and Firefighting > Model Fire Trucks > Show & Tell. If you don't have an account, create one here. 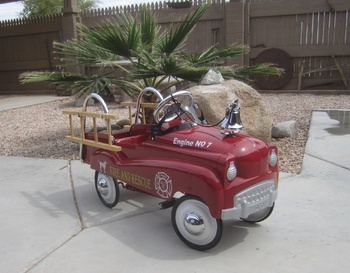 This one is a newer, around 2004, pedal car made by Instep. 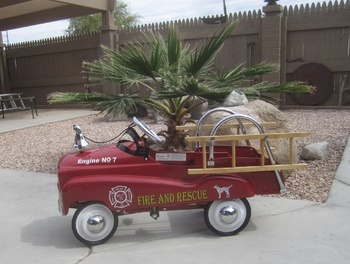 Has wood removable ladders and chrome bell to make some noise. Hello Az!! love your collection of toys!! wow it must be fun finding these great items ! Thanks Sean68, Even after 40+ years of collecting them it is STILL fun. You are never too old to enjoy a happy childhood! 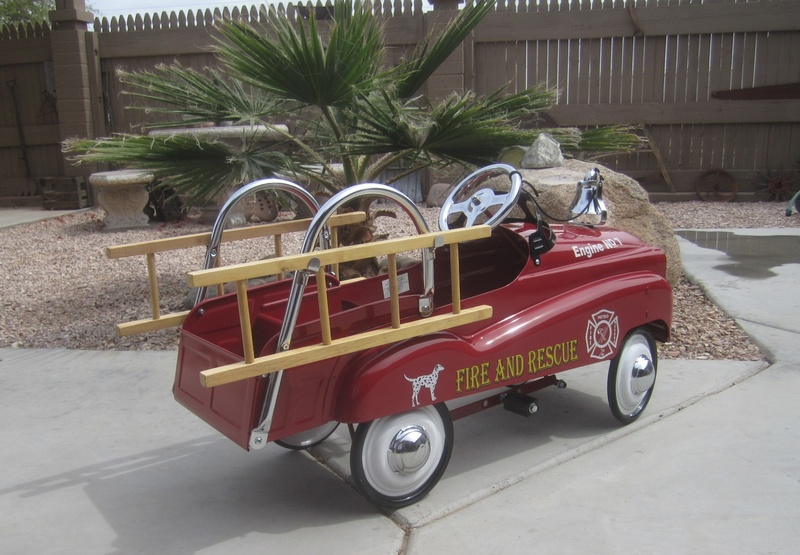 Actually Instep did a pretty nice job manufacturing newer pedal cars. I have a couple around as to not have visiting kids want to bother my older valuable ones :) Of course.... maybe these will be valuable someday. Thanks for the comment. Yes they are well done as the Gearbox and few others made like this one. I'm quite sure they all come from the same tooling. Thanks Paul. I need to get more of my pedals posted. Want to post a comment? Create an account or login in order to post a comment.